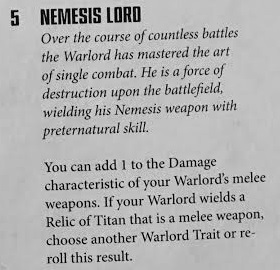 Warlords – you can’t have a Battle-forged Army without one. 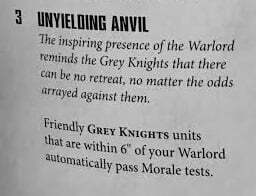 So let’s talk about the Grey Knight Warlord Traits! 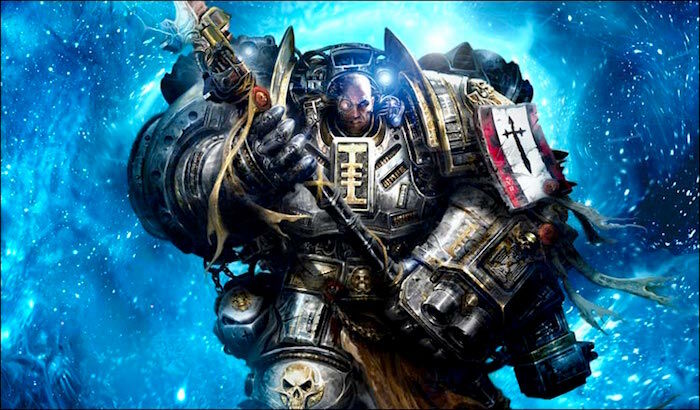 The Grey Knights have some pretty solid relics, great stratagems, and some powerful psychic abilities. Now we’re going to put the Warlord Traits under the microscope and see how they compare. You only get to choose one, so you better make it count! Do you like to run your Warlord aggressively? Well have we got the trait for you! 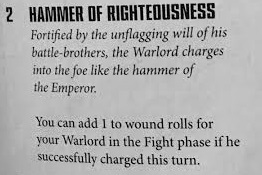 Hammer of Righteousness is a great way to go hunting with your Warlord. 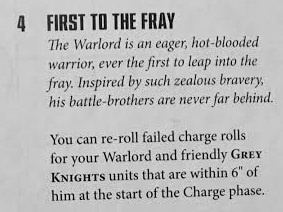 If you can successfully pull off a charge, you get +1 to your Wound rolls for the Fight Phase. Combine this with Hammerhand to REALLY make the target squirm. A Daemon-hammer wielding Grand-master will put more than a dent in just about anything, including a Land Raider! If you really want to get nasty pair it with the Destroyer of Crys’yllix, too. I would not want to mess with that character. 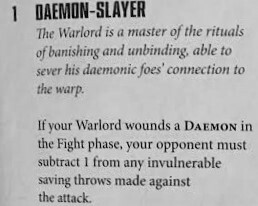 Morale is a big part of Warhammer 40,000 8th edition. So when an ability comes along that lets you auto-pass those pesky Morale Tests, you might want to make note of it. Now, I’m not saying this is the best option – but it could save your bacon when the time is right! When a Grey Knight unit commits to a charge, it’s usually because they need to play mop-up on a unit. That means it’s important that those charges go off. If your Warlord is looking to be more of a Support Character then this is a great trait to snag. 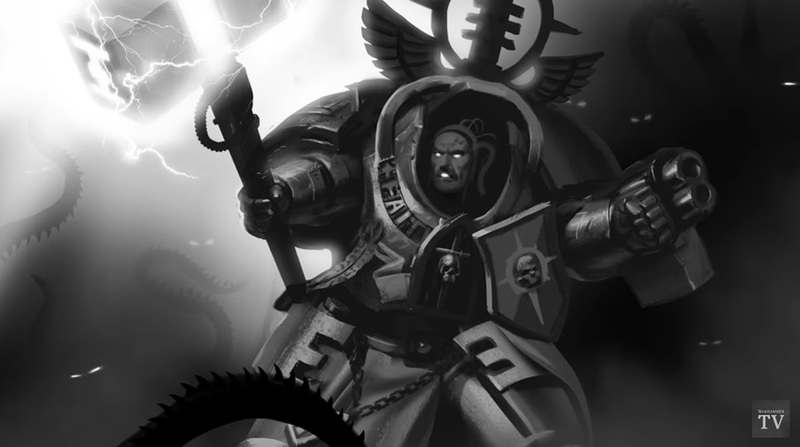 Grey Knights getting a charge re-roll can really spare your smaller, elite forces the brunt of an enemy assault wave – just get in there and break them first! Also, keep in mind that this Trait basically gives you a static +1 to your melee damage rolls. That means all those Nemesis weapons are going to end up doing D3+1 or D6+1 damage. It’s starting to look like a D&D character sheet, isn’t it!? I don’t know if Lore Master is the best trait, but it’s certainly in the running. 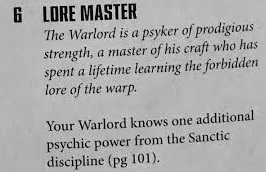 Considering how good the Psychic Powers are, having your warlord run around with one additional one can’t hurt! They might not be able to use all of them in the same turn, but the utility certainly is helpful. Grey Knight Warlords are going to be able to really fill the gap you need filled in your army. They can be super deadly combatants or they can help buff your battle-line troopers. Either way, they will be a force to be reckoned with on the tabletop! Do you have a favorite trait? How would you use it? Let us know what you think in the comments below!